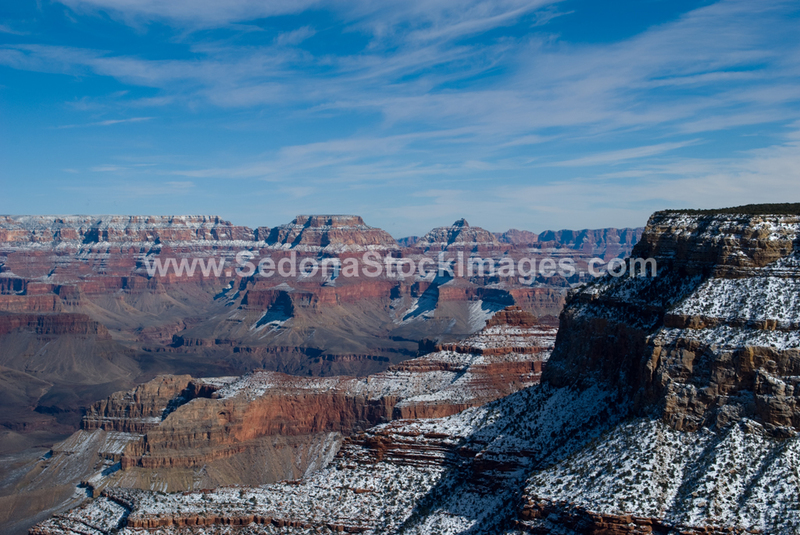 Photo ID: GCSnow2941.jpg South Rim of the Grand Canyon in winter. Trailview Overlook (6,860 ft high). The view of the rust mountain in the center is O'Neill Butte (5,700 ft high). It is made of Supai Group rock formed 315-280 million years ago. The square gray rock top at the horizon is Wotans Throne (7,633 ft high) and Vishnu Temple (7,829 ft high) is the pointy gray rock top to the right of it.